Have you heard? 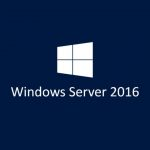 Microsoft is set to release Windows Server 2019 later this year. It seems that consumer releases (like Windows 10) are launched with trumpets and parades while server releases sneak up on you in the middle of the night! 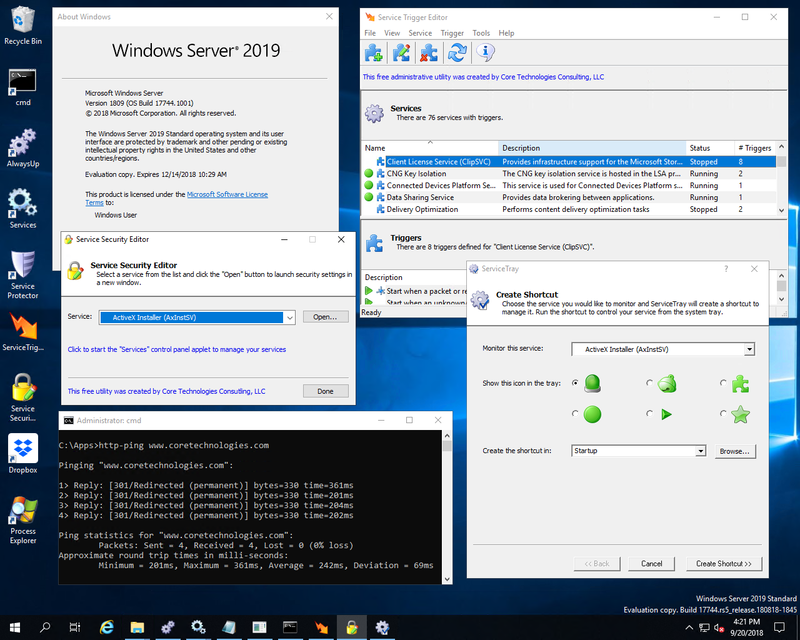 So what’s new in Windows Server 2019? Windows Admin Center (WAC): Microsoft’s powerful browser-based server management tool is a one-stop-shop for administering PC’s — locally or remotely. Check out our review of WAC for a deeper look. 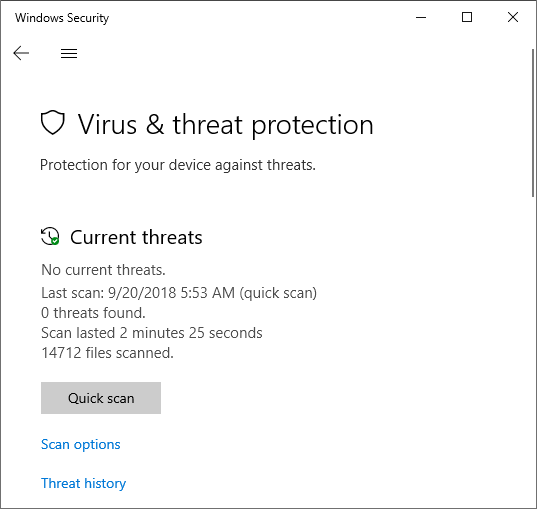 Windows Defender Advanced Threat Protection (ATP): Beyond the traditional preventative protection technologies found in previous versions Defender, ATP features support for post-breach intrusion detection, automated investigation, and more. Improved Security for Linux VM’s: Linux virtual machines can now benefit from Server 2016′s Shielded Virtual Machines technology, which can help to prevent the unauthorized copying of company resources. Support for Kubernetes (in Beta): Administrators running Kubernetes pods will be happy to see first-class support for the popular container technology in Server 2019. 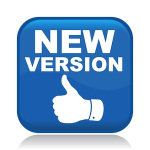 This beta version is a respectable start and we look forward to continued improvements on the way to a general release early next year. 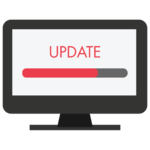 Any updates for Windows Services? Server 2019 brings no documented changes to the Windows Services SDK functions. The Services Control Panel application remains the same as it has for many years now. 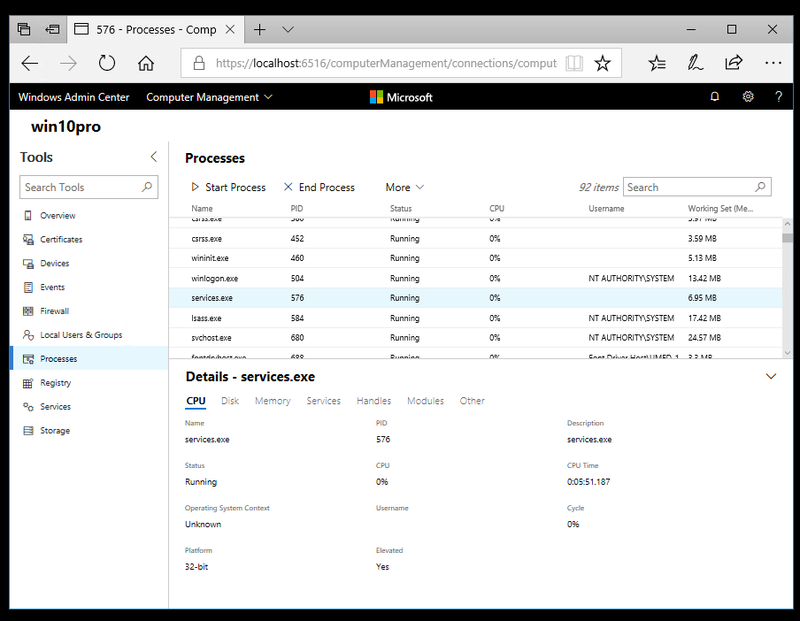 The only significant difference is the removal of the Interactive Services Detection service, which makes it impossible to access Session 0 in Server 2019. This is not a surprise though; Microsoft is being consistent with the same change made in Windows 10 build 1803 (released in April). 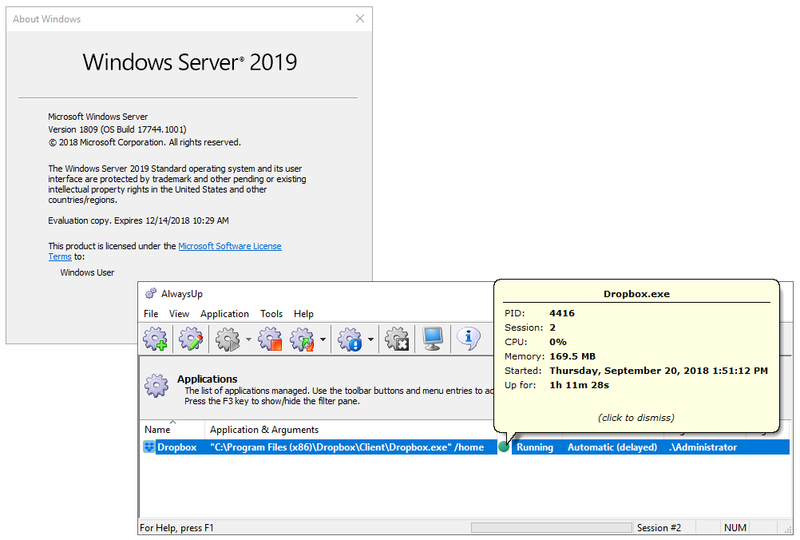 Does AlwaysUp work with Server 2019? Our week-long testing with various applications failed to uncover a single defect or problem. Does Service Protector run fine too? The story was the same with Service Protector. No problems at all on Server 2019. And how about all your other utilities? 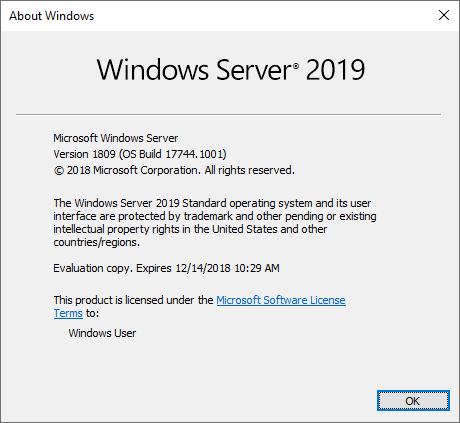 Where can I find out more about Windows Server 2019? Join the Windows Insider Program to get access to Windows Server 2019 (and other pre-release software from Microsoft). 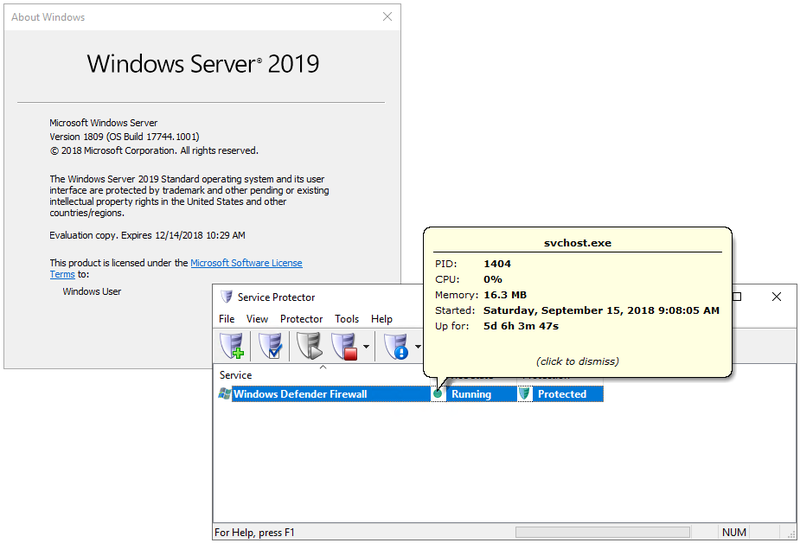 Download the Windows Server 2019 Insider Preview and kick the tires for yourself!